Any day is a great day to flash a beautiful smile. 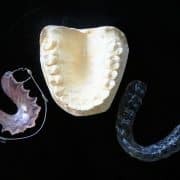 You don’t have to be a movie star to have your teeth straightened before a special occasion in North Royalton or Strongsville OH. Everyone wants to look good for their prom, senior pictures, graduation, applying for a job or like Kathryn Heigl… getting married. That’s right! Kathryn Heigl never worried about her teeth not being straight until she decided to get married. What was the easiest and least emotionally traumatic solution for someone who is in the spotlight and can’t be seen wearing braces… Invisalign! 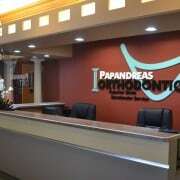 At Papandreas Orthodontics, we offer teens and adults the braceless alternative to having the beautiful smile you always wanted. If you have been thinking about straightening your teeth, contact our office for a complimentary appointment to find out how easy it is to accomplish this with Invisalign. We see every patient in our office as a celebrity and look forward to discussing orthodontic treatment options with you. See what Kathryn Heigl has to say about Invisalign on YouTube… Leave a comment below and tell us what impact you think a smile has on our day to day lives. As a consumer, we are interested in your opinion. 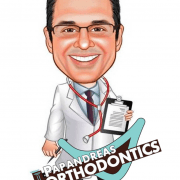 https://drpapandreas.com/wp-content/uploads/2016/04/logo-dr-papandreas.png 0 0 Dr. Sam https://drpapandreas.com/wp-content/uploads/2016/04/logo-dr-papandreas.png Dr. Sam2011-11-15 09:37:552016-04-14 05:34:59What actress chose to straighten her teeth with Invisalign before getting married?